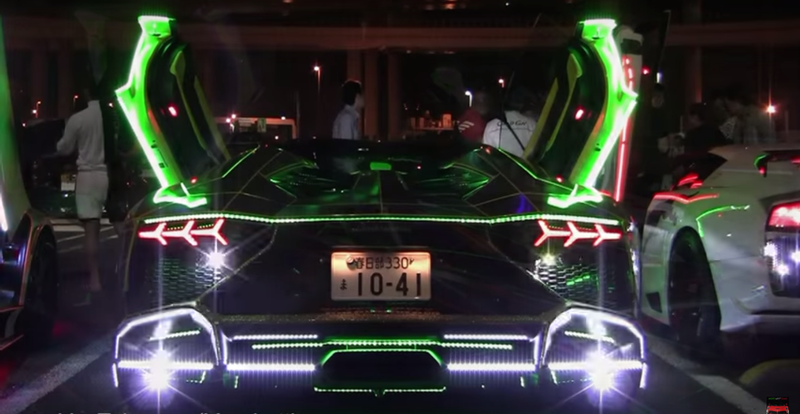 It takes more than just a bunch of LEDs to stand out in the Japanese tuner car world. Like a holographic wrap, flamethrower exhaust, and a Lamborghini Aventador somewhere underneath all that. Merciful mushrooms look at this thing. We’ve seen Italian supercars decorated like this before but watching at a whole pack of them blinking and blazing their way around Japanese highways is kind of amazing.